A cuadro, or troupe, is the basic performing unit of flamenco: singing, guitar, and dance. The Flamencura cuadro features the singer/guitarist Isaí Chacón, guitarist Jose Manuel Tejeda, and dancer Olivia Chacón, as well as a variety of guest dancers and musicians including guitarist Luisma Ramos, percussionist Pepe Gaytan, singer Celia Sellers, and dancers from A’lante Flamenco. The cuadro performs in more intimate venues, where audiences can see the performers’ artistry up-close, feel the raw energy of pounding feet and clapping hands, and share in the vitality of their improvised conversation. The Flamencura cuadro performs frequently throughout Texas. See the Calendar for dates and locations. 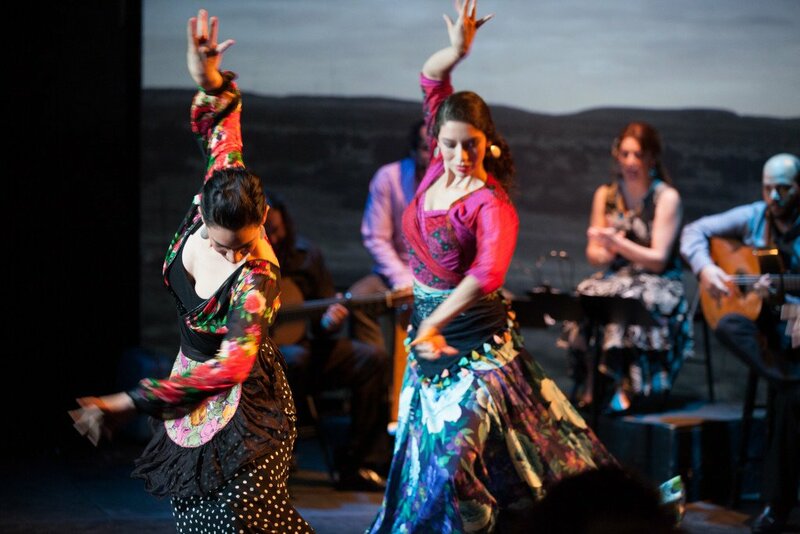 A’lante Flamenco Ensemble, based out of Austin, Texas, excites audiences with a blend of traditional and contemporary flamenco music and dance. A’lante Flamenco was formed in 2011 by Artistic Director/Choreographer Olivia Chacón and Music Director Isaí Chacón with the object of presenting flamenco to Texas and regional audiences in the freshest and most creative way possible. Since then A’lante Flamenco has grown in both size and vision, now incorporating 10 permanent members–5 dancers and 5 musicians–and producing popular traditional flamenco shows as well as innovative flamenco theater works incorporating multimedia and addressing relevant social issues. A’lante Flamenco’s work aims to reach audiences on a visceral level, provoking emotional responses through music and dance that crosses cultural and linguistic boundaries. A’lante Flamenco’s productions have received acclaim from audiences and critics alike. Awards include the Austin Critics’ Table awards for Best Dancer 2012/2013 (Olivia Chacon in “The Red Shoes”), and Best Ensemble 2013/2014 (for “Prophecies”) and also 2014/205 (for “Desplazados”). “The Red Shoes: A Flamenco Fairytale” was also chosen as one of the “Best Dance Shows of 2012″ by the San Antonio Express-News. 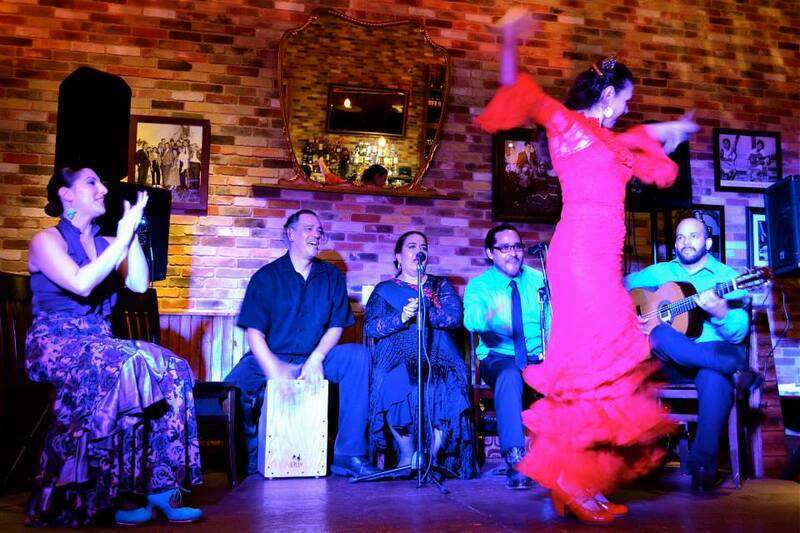 A’lante Flamenco is sponsored by the Austin Creative Alliance, and is a member of the Texas Commission on the Arts’ official Texas Touring Roster, which provides support for Texas presenters of our work. A’lante has also received support from the City of Austin Cultural Arts Division, the Mid-America Arts Alliance, the National Endowment for the Arts, the Redd Carpet Fund, and private donors.